Trazodone has only one FDA-approved application: the treatment of major depressive disorder in adults. However, many doctors prescribe Trazodone dosages for off-label uses and to pediatric patients. The Trazodone dose range for the treatment of depression and other conditions varies widely. What Are The Dosages Of Trazodone Available? What Is The Recommended Adult Dose Of Desyrel? 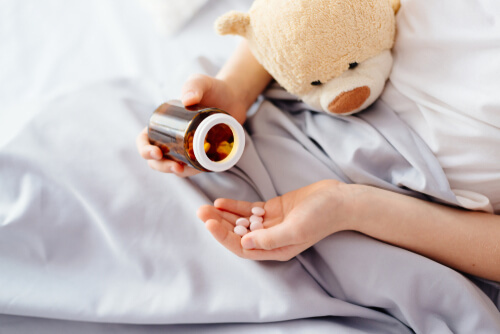 What Is The Recommended Pediatric Dose Of Trazodone? What Is The Recommended Geriatric Dosage Of Oleptro? What Are The Trazodone Dosages For Off-Label Use? When Must Desyrel Dosages Be Adjusted? How To Adjust Dosages When Switching To Or From MAOIs? What Are The Rules Of Oleptro Administration? What Should One Do If Missed A Trazodone Dose? What Are The Lethal Dosages Of Trazodone? In some cases, a doctor may prescribe a Trazodone 25 mg dose, but there is no pill manufactured in this dose. The patient will need to cut a 50 mg tablet in half. When the medication is used in adult patients, it is recommended that they start at 150 mg of the drug a day, divided into two to three doses. However, it is rare for a patient to remain at their initial dosage for long. When patients first begin taking the medication, they meet with their doctor after to discuss how they are responding to the drug, adjusting their dose as needed. If ideal results are not being seen, the doctor will choose to increase the drug. This can be done in 50 mg increments every 3-4 days. The Trazodone max dose for adults is 600 mg per day. While children can suffer from depression, as well as many of the conditionsOleptro is used off-label to treat, the FDA has not approved it for use with pediatric patients. With that said, some doctors will still prescribe it to children. To do this, they must adjust dosing. In children between the ages of six and 12, it is suggested they start at 1.5 mg per kilogram of their current weight per day. The maximum dose is 6 mg per kilogram of their weight per day. In children between the ages of 12 and 18, it is suggested that they start at 25 mg per dose. For this, they would use a Trazodone 50 mg pill and cut it in half. For children in this age range who have yet to undergo puberty, the maximum daily dose is 400 mg. For those who have completed puberty and are physically adult, it is 600 mg per day. Overall, the recommended Trazodone dosages for geriatric patients is the same as for adult patients. However, geriatric patients are more prone to conditions that can impact the appropriate dose than younger persons are. For example, an elderly person is more likely to have reduced organ function, which may necessitate a lower dose. However, in the absence of conditions that complicate treatment, their Trazodone dose should be approached as it would for a younger adult. FDA approval for Trazodone is strictly for adult patients in the treatment of major depressive disorder. However, doctors often prescribe it for other uses. There is some risk in this as there have not been enough studies done of common off-label uses to determine if they are safe, save for the treatment of insomnia. Here are some of the more common off-label uses of the drug and the recommended dosages. It has been found that Desyrel can work as a sleep aid. When used in this manner, it is only taken once a day, at bedtime. The Trazodone for sleep dosage is quite low. The suggested starting dose is a 50 mg Trazodone tablet, increased to 100 mg if needed. Unlike other off-label uses of the drug, using Trazodone to treat insomnia has been proven safe and effective. However, this is limited to the maximum Trazodone for sleep dosage of 100mg. Anything beyond that has not been studied and is not considered safe. 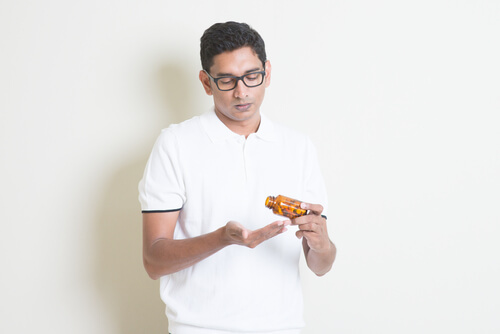 Another common off-label use for Oleptro is the treatment of anxiety. It is logical to use Trazodone for anxiety since symptoms of it often overlap with major depressive disorder, and the two frequently occur together. It is also sometimes used to treat anxiety-related symptoms of PTSD. The Trazodone dosage for anxiety is different from that for depression. The prescribing doctor should start with a low dose: Trazodone 50 mg for anxiety is often the initial prescription. The maximum recommended dose for the treatment of anxiety is 200 mg per day. 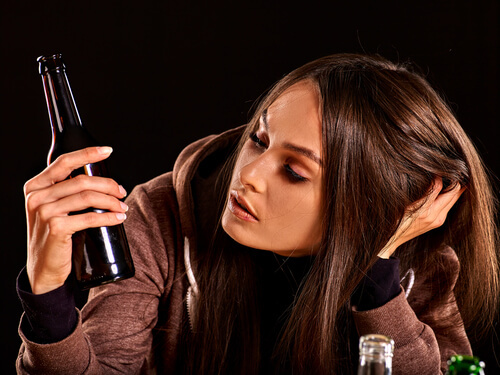 Alcoholism and depression are often co-occurring disorders. In cases where someone presents with both alcoholism and depression, the use of Trazodone makes sense. With this application, the same dosing used when treating depression would be recommended. However, Desyrel is also used to treat long-term alcohol withdrawal symptoms to make it easier for recovering alcoholics to stay clean. Studies have found that it is effective at managing these symptoms, particularly insomnia. Dosing for the treatment of withdrawal symptoms is the same as when treating sleep disorders. However, other studies have shown that when the drug is stopped after the lingering withdrawal symptoms are gone, users are more prone to relapse. The use of Trazodone in the treatment of bulimia has been studied for decades; despite not being FDA approved for this specific treatment, there is significant evidence of its efficacy. The dosing is similar to that used when treating depression, but the starting dose may be lower, often just Trazodone 50 mg per day. The maximum daily dose remains 600 mg, with the ideal Trazodone dose range for bulimia between 250 and 600 mg daily. One of the newer off-label applications of Trazodone is the treatment of dementia. Limited studies have shown that while it does not reverse dementia itself, it does reduce the behavioral symptoms associated with the disease. When used in this application, patients are given a single dose each day, usually at night. The dose range for treating dementia is Trazodone 50 mg to 200 mg.
Much like with the treatment of alcohol withdrawal, Oleptro can be used in the treatment of opiate withdrawal. While there is speculation that it can treat multiple symptoms of withdrawal, it is generally used to treat insomnia. Treatment starts with Trazodone 50 mg for sleep taken nightly and increases to 100 mg if needed. Use of the drug for insomnia in former opiate users is meant to stop within a year. As is the case with many medications, the Trazodone dose taken may not remain stable throughout a patient’s time on the drug. In some cases, an ideal dose is found and never changes. In other cases, it will need to be altered. When the side effects of the drug become too much for the patient, the doctor can choose to reduce the amount of the drug taken in 50 mg daily increments, giving about four days between each decrease, until the user finds an ideal balance between the benefits and the risks of the drug. Similarly, when the drug is no longer delivering the benefits it should, the doctor can increase the dose in 50 mg increments until either the desired effects are in place or the maximum dose is reached. Studies on the effect of the drug on fetuses have found that it does not cause defects. However, it is classed as a category C drug, which means that risks cannot be ruled out. As such, most doctors will choose to either wean the mother off the drug or reduce the dose to as little as 50 mg per day. Once the mother has had the baby and is no longer nursing, she can slowly increase the dose taken until reaching the needed amount. Those with reduced kidney or liver function can only be prescribed very low doses of the drug. Depending on how severe the impairment of the organs is, the patient may not be able to use the medication at all. This is especially true with the liver, as Trazodone is associated with liver failure. Trazodone has been demonstrated to cause serotonin syndrome when combined with MAOIs. This condition can be life-threatening. As such, special care must be taken when switching to the drug from an MAOI or when switching to an MAOI from Desyrel. In either case, the medication currently being taken should be slowly tapered off until it is no longer being used. Then, the patient must go 14 days without taking Trazodone or an MAOI. At that point, they can begin taking the new medication. When taking Trazodone, there are things patients can do to make the experience more comfortable for them. How does Trazodone make you feel? It can change depending on when it is taken each day, if it is on an empty stomach, and how the patient consumes it. It is suggested that patients take the drug after eating at least a small snack. When it is taken on an empty stomach, dizziness and nausea are more likely to occur. Patients who take it only once a day should consider scheduling their dose before bedtime, as it is known to cause sleepiness. Those who take it throughout the day should try to time it so they take it when they have the most energy, that way the drowsiness is not as pronounced. 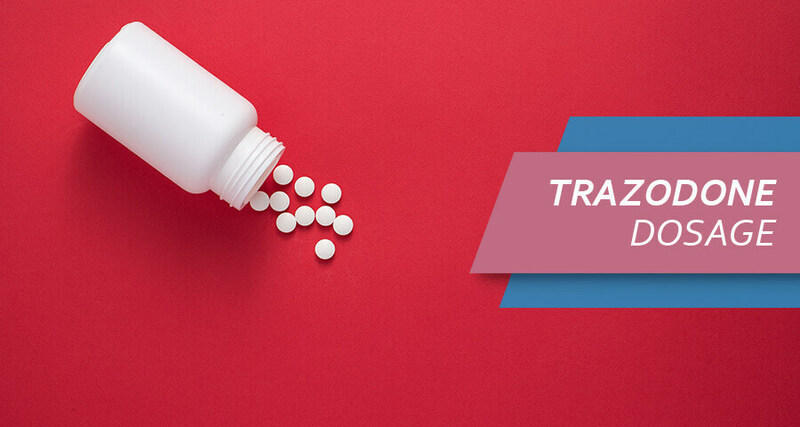 While some patients who struggle to swallow pills may be tempted to crush the medication, this is not recommended as it can result in pronounced side effects and result in hospitalization. What If I Missed The Dose Of Trazodone? Missing a Trazodone dose can be distressing for the patient. Because the medication is vital to their wellbeing, forgetting to take a pill can make them worry that they will experience negative effects. However, so long as doses are not missed often, everything should be okay. If the patient realizes they missed a dose early on, they should go ahead and take the pill. If they do not realize their mistake until it is close to the time to take their next dose of the medication, they should skip the missed pill. Users should never double a dose of the drug. While overdosing on Trazodone is possible, it is highly unlikely. The LD50 for the medication is 96 mg per kilogram of weight. Given that the average adult weighs about 80 kilograms, they would need to take 7,680 mg of the drug in order to overdose on the drug. That would require 26 300 mg pills to be taken, which few users would have on hand at a given time. Although negative effects can occur on a much lower dose, experiencing Trazodone overdose symptoms is rare. Antidepressants, including Desyrel, come with the increased risk of suicidal thoughts and behaviors. Anyone taking the drug should be closely monitored for indications of suicidal tendencies. Patients should be screened for bipolar disorder prior to starting the medication. It is important to note that the medication may show up on certain drug screenings. This can result in a Trazodone false positive. Patients who regularly undergo drug testing should have a doctor’s note ready as evidence in case a positive result causes problems. While it is often prescribed to pediatric patients, this use is not approved by the FDA. Stopping use of the medicine must be done carefully; the Trazodone withdrawal schedule must be followed. Trazodone must never be taken at the same time as an MAOI drug. It is important that patients are open and honest with their prescribing doctor, as it can help to avoid deadly situations. While Desyrel has therapeutic applications, it can also be misused and abused. Anyone who is using the drug in a problematic manner should seek help. Drug rehabilitation centers know how to deal with Trazodone addiction and help users get and stay clean. Learn more about drug addiction treatment and start a new life.